The National Public Safety Telecommunication Council (NPSTC) will be meeting at IWCE in Las Vegas, NV, following the IWCE Conference. Please join us in improving public safety communications and interoperability through collaborative leadership. Together we can create one unified voice for public safety. NEW: Virtual audience may send questions to attend@npstc.org and we will address them during the Q&A portion of each presentation. All times approximate. Length of meetings dependent upon discussion within each working group. For updates on a specific agenda item, call 1-866-807-4755. Material subject to change at the discretion of the Chair. 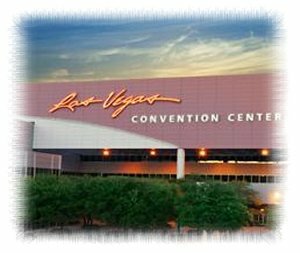 Visit Las Vegas and Conventions Visitors Authority, http://www.lvcva.com, for more information on Las Vegas. The weather in Las Vegas is part of what makes the town a top travel destination. With more than 300 days of sun every year, weather in Las Vegas is prefect for your business or vacation plans. The high temperatures during February are generally in the low 60’s and the low’s are in the lower 40’s. Airport Shuttle: The most economical way to get to your hotel. Shuttles can cost less than $10 for Strip/Downtown. Check with your hotel for schedules. A few companies are listed below. The Monorail travels from Sahara Ave to the MGM Grand 7 days per week from 7 a.m.-2 a.m. Monday-Thursday and until 3 a.m. Friday-Sunday. Visit website for location stops and ticket prices. www.lvmonorail.com. Invitational travel is extremely limited. If you are selected to receive funding, the support office will contact you. If you have any questions, please contact support@npstc.org.